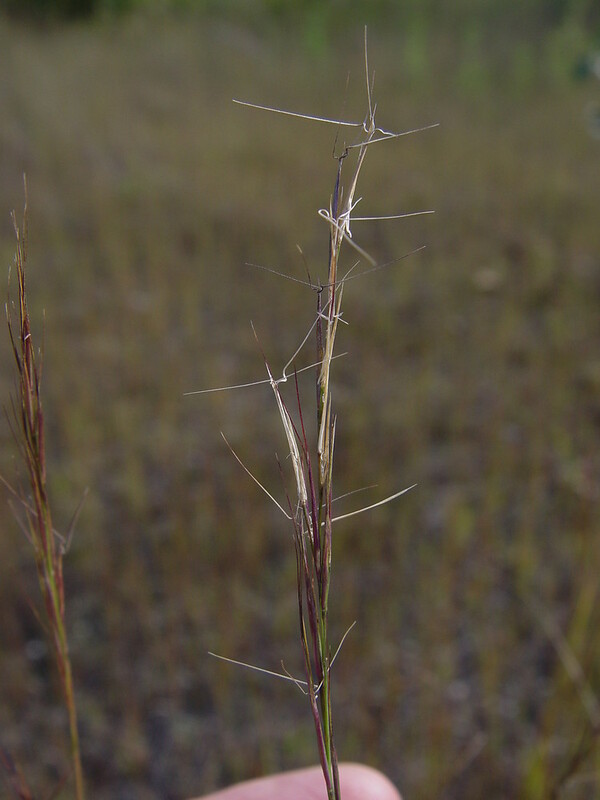 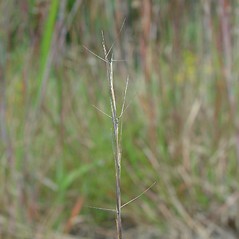 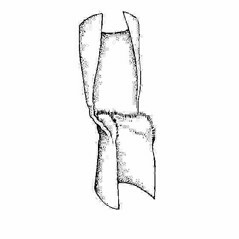 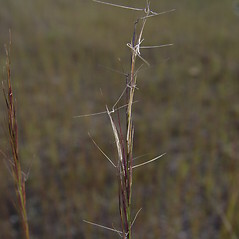 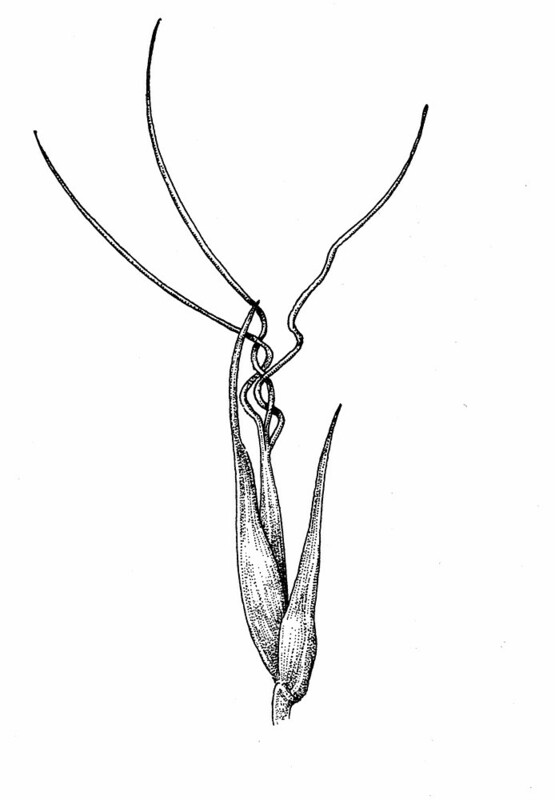 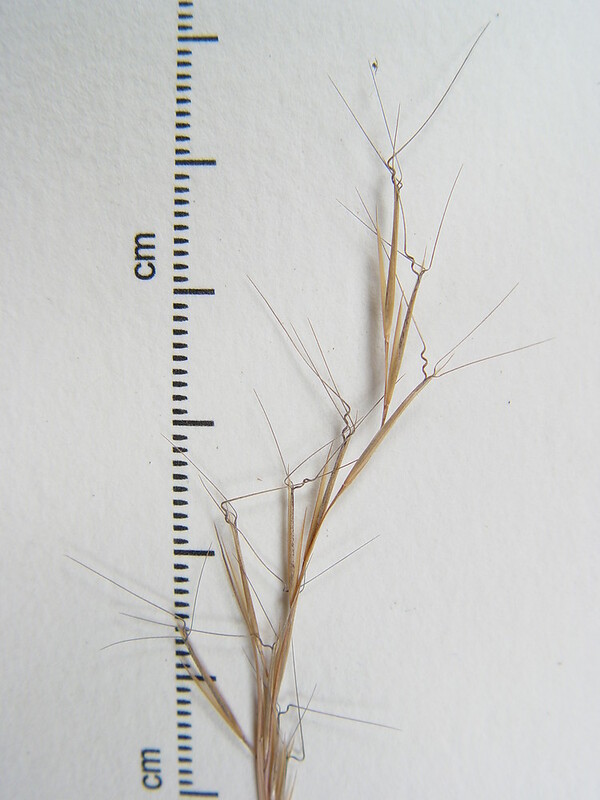 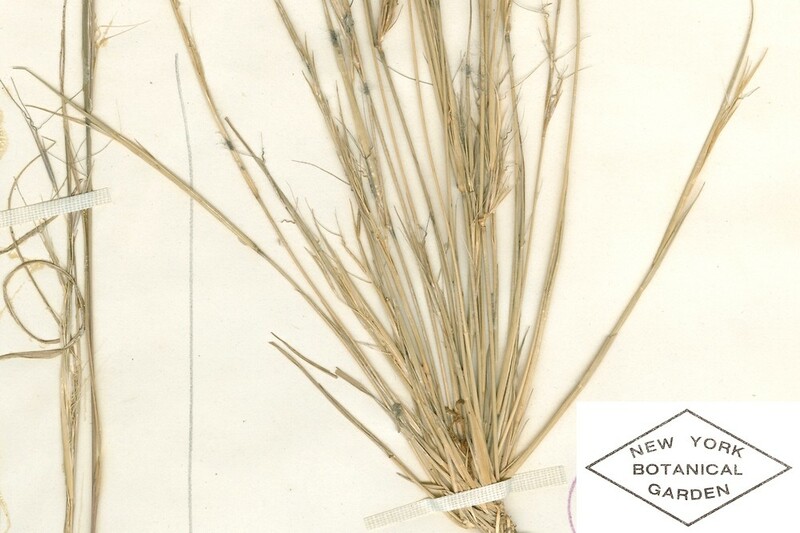 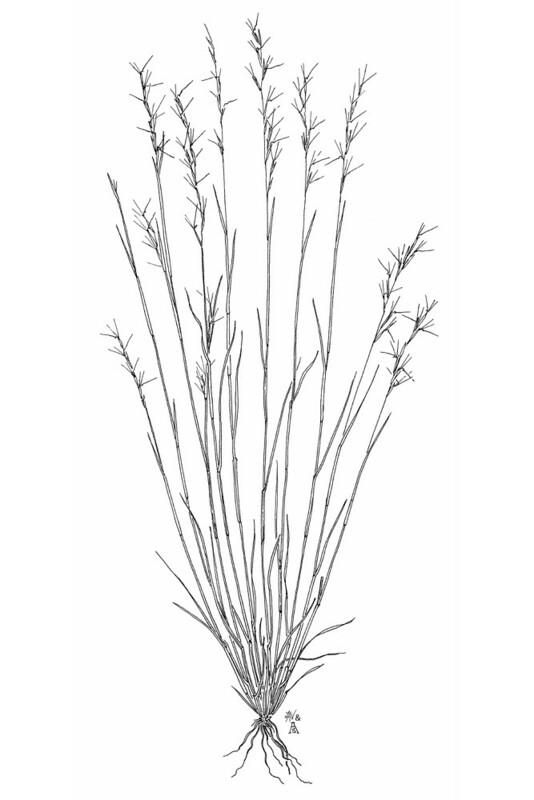 Fork-tipped threeawn is found in open, sandy fields, grasslands, roadsides and disturbed areas. 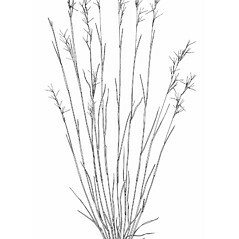 It is considered native to Maine, New Hampshire and Vermont, but not native to Massachusetts, where it also occurs. 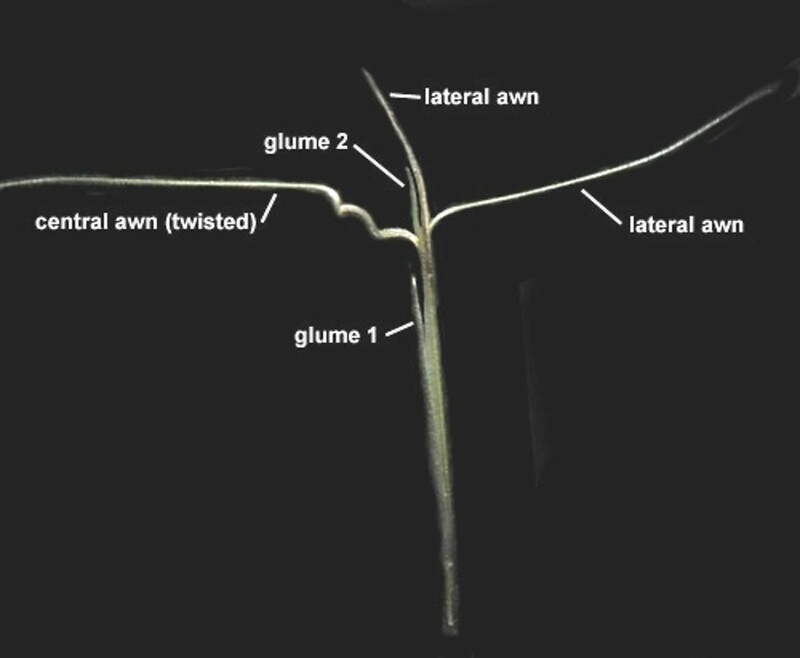 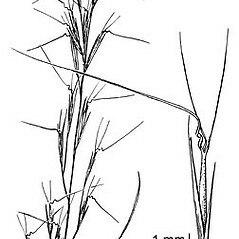 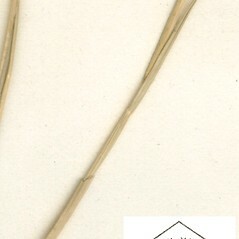 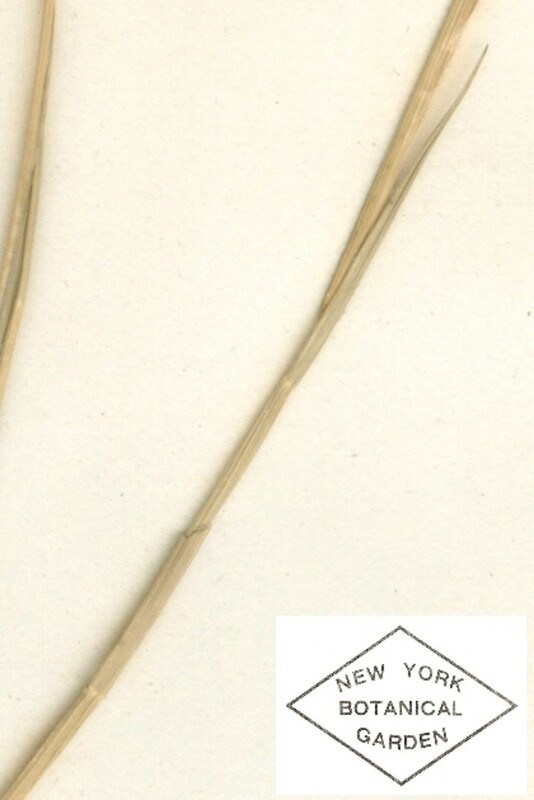 central awn 3-8 mm long and lateral awns 1-4 mm long, straight, and erect (vs. A. basiramea, with central awn 10-15 mm long and lateral awns 5-10 mm long, usually divergent from near the base). 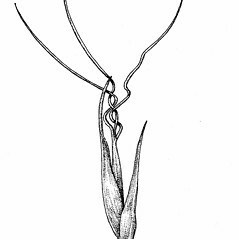 central awn not coiled at base and flowers either with 1 anther that is 0.2-0.3 mm long or 3 anthers that are 3-4 mm long (vs. A. basiramea, with central awn coiled at base 2 to 3 full turns and flowers with 3 anthers ca. 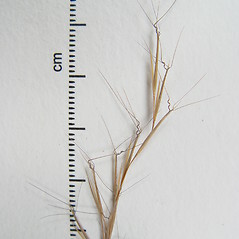 3 mm long). 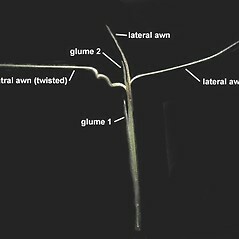 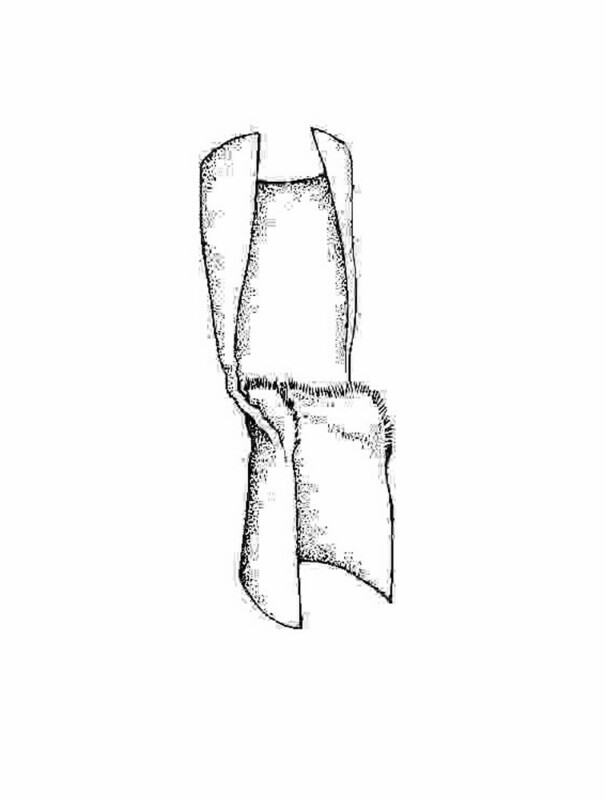 Fork-tipped threeawn. 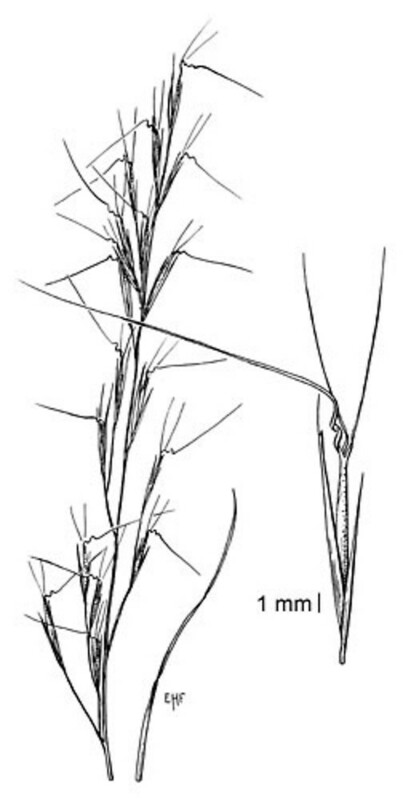 MA, ME, NH, VT. Sandy, often sterile, soils of fields, grasslands, roadsides, and disturbed areas. 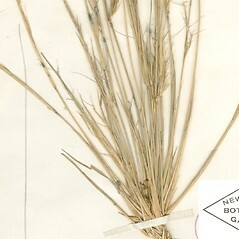 Though this species is native to New England, it is considered non-native in MA.